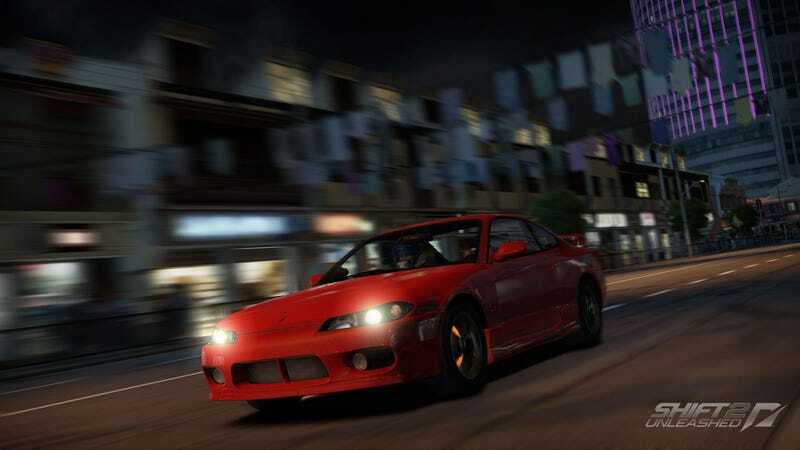 Despite the roaring success of Need for Speed: Hot Pursuit, a racing game that managed to yank me forcibly back into a genre a long lost interest in, I still don't anticipate the release of Shift 2 Unleashed. The game sounds to me like a return to all of the things that pushed me away from the franchise, all of which can be summarized by one word: Realism. I'm not a fan of reality, that's why I play video games. The same goes doubly true for racers. But I understand there is a deep interest by a massive audience for racing games that push the envelope on realism. I'm not quite sure yet where Shift 2 Unleashed is going to land. The developers say the game will deliver authentic driver experience with 40 career events when it hits in the spring of 2011. The game is also said to be the perfect complement to Hot Pursuit, which screams don't buy it to me. But that's because I don't want a compliment, I just want more Hot Pursuit. If you're unlike me, and are looking forward to a return to realistic racing in this franchise, then you probably will want to hear about the pre-order bonus which nets you three exclusive cars: the Nissan Silvia spec.R Aero (S15), the Alfa Romeo Giulietta QV, and the Lamborghini Murciélago LP640. Now go look at these pictures.